My life's moments are gourmet memoirs created from a labor of love for food, family, and life. Fall weather and soup go hand in hand, which means I try to make a soup once a week now that we’re finally getting some fall-like weather. 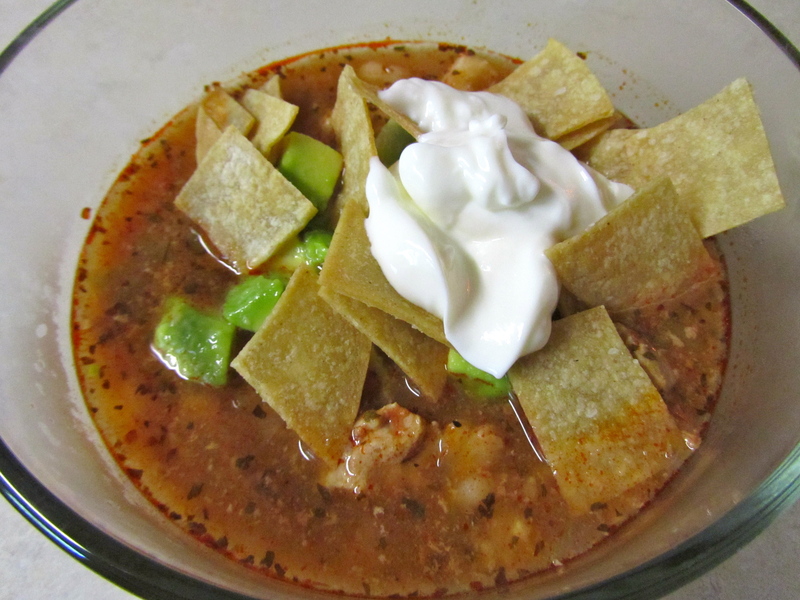 One of my hubby’s favorites is posole. My stepaunt makes the best, and I can’t come close to what she makes, but hubby and the kids love this version too. I used this recipe, but halved it. I don’t like having tons of leftovers that I have to store or freeze. If I wasn’t home to cook dinner every evening, I’d be all about leftovers. But since I’m home, I like making something different every night. 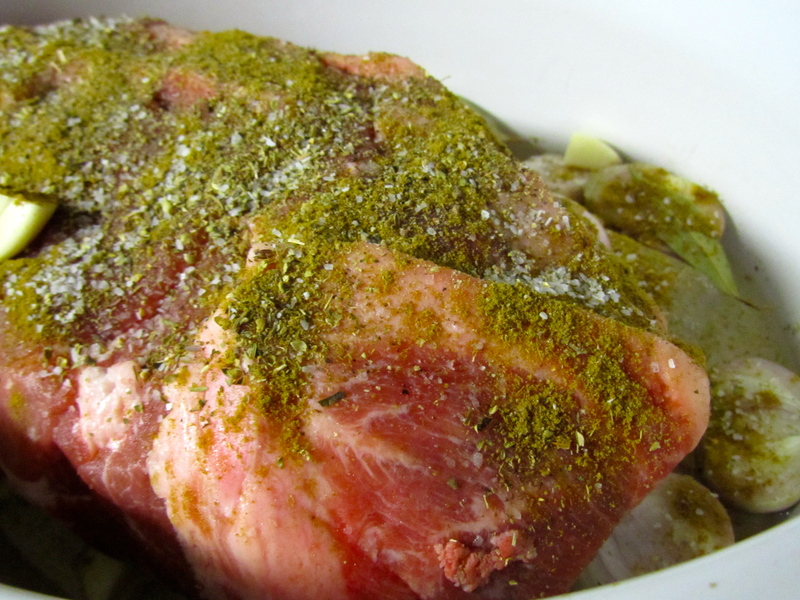 I also did not brown the meat before adding it to the slow cooker. I know many folks would say I’m losing flavor without browning it first, but it was still full of flavor and oh-so-tender without browning it. Bake at 350 degrees for 8-10 minutes or so, until lightly browned and crispy. Do you like making soups in the slow cooker? On Labor Day, hubby and I went out to lunch with my parents, aunt, and uncle in Marble Falls at a restaurant on the lake. One of the first items on the menu was a green chili pulled pork stew, and the description had hubby and me drooling. We didn’t actually order the stew, but the idea of roasted Hatch chilis, carrots, and potatoes slowly cooked all day with pulled pork was intoxicating. Intoxicating enough to attempt my own version at home. I have no idea if this tastes like the stew at that restaurant we visited since we didn’t actually order the stew. But this version is incredibly delicious and satisfied our craving. It also passed the final test – both girls loved it! I was a bit surprised, thinking it may be too spicy for them, but B had seconds and E thought it was one of the best stews or soups she’s had recently. I will definitely be making this once the weather turns a bit colder in Central Texas. B has already planned to cuddle up in a blanket and sit on the porch in the chilly air with a hot bowl of green chili pulled pork stew. Sometimes, she says things that I would normally say, and I nearly forgot she’s not actually of my blood. Continue cooking on low for 1 more hour or longer. I cooked mine an additional 2 hours since that’s when we were ready for dinner. Serve over rice, if desired, or with warm flour tortillas for dipping, or with a Tablespoon of sour cream stirred in a cup of the stew. Remember not to touch your eyes after handling the peppers if you don’t wear gloves! Mine and the girls’ favorite way to eat this is with a dollop of sour cream mixed in to add a little tang. 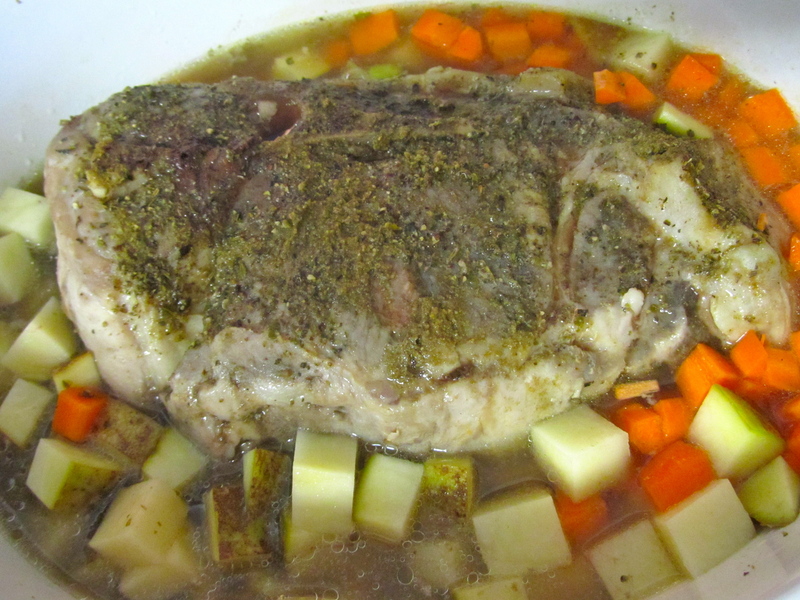 I used my homemade chicken broth that I keep in the freezer in 2-cup portions. I just placed it in the bottom of the slow cooker frozen, and the meat on top of that and it thawed in no time. If using store-bought chicken broth, I recommend using low sodium. *Edited January 2012 to denote amount to use if using canned green chilis instead of fresh, to make the recipe easier. What is your favorite stew or soup? 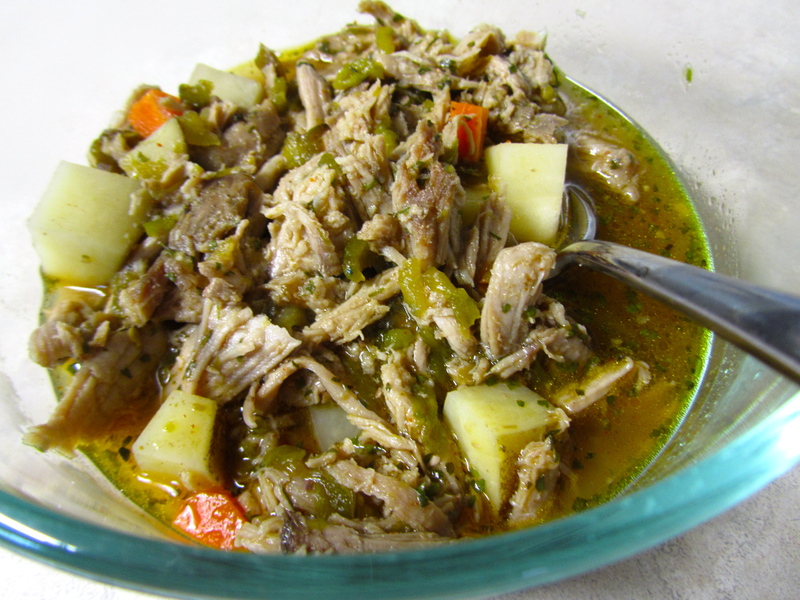 I’d have to say this green chili pulled pork stew is a new family favorite. My favorite soup is the low sodium roasted red pepper and tomato by Pacific Organic – one of my standard lunches with a sandwich. I am not a nutritionist, registered dietitian, personal trainer, or yoga specialist. I am just a busy woman juggling my career, being a wife and stepmother, and exploring how to make myself healthier, body and soul, through food, exercise, meditation, and spending time with my family and friends.